The nature of the internet allows information to flow across national boundaries without concern for language or culture. Despite this, the vast majority of internet users never encounter substantial amounts of content that is not served to them in their native languages. This results in the internet being segregated to a certain degree. Brands and businesses that can transcend these invisible barriers in search engines can find themselves in a great position with respect to growing their audiences or consumer bases. Below, we’ll talk about the precise benefits that SEO efforts in multiple languages can have for websites. As already stated, the most obvious benefit of using multilingual SEO tactics is the increased reach that will be provided by search engines. Fewer than one-third of all internet users in the world search for information in English, which means you are missing out on a lot of potential traffic! Not all forms of content or e-commerce require English in order to be enjoyed, which makes it possible for you to start pinging for SEO in a variety of different languages in order to draw more attention and sales. Most strategies that are necessary for expanding reach within a given audience are either time-consuming or expensive (or both). However, targeting multiple languages through SEO endeavours is entirely cost-effective! You will not have to create new websites for each specific language you’ll be targeting, meaning that the overall conversion and translation processes are all that have to be considered. With a simple understanding of the equivalent keywords that need to be targeted, you may even be able to begin targeting multiple languages for free (depending on your level of expertise with other languages). Even if paid translation services are required, this process – in terms of cost-benefit – is very affordable for most websites. 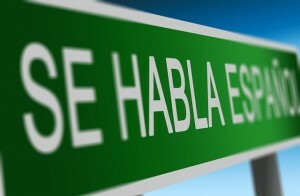 The percentage of websites and brands that aim for SEO in multiple languages still remains paltry. This presents a prime opportunity for brands and businesses who wish to take the leap, as there will likely be minimal comparable competition to face in these new markets. Even within the native brands in a given language, there will likely be less competition than there is in an English market; many brands from all parts of the globe decide to target English as their primary and/or sole language due to the sheer number of English-speaking internet users. By pinging for SEO in at least two different languages, you’ll be able to enjoy a less competitive atmosphere in the foreign language most of the time. All too many brands and businesses leave valuable customers and audiences up for grabs by not focusing on SEO efforts in different languages. With English being the primary target for brands all across the world, many niches in other languages are relatively open for competition. By targeting multiple languages via SEO, you’ll be able to reach more people in a very affordable fashion and will have access to more competitive SERPs on Google and beyond.